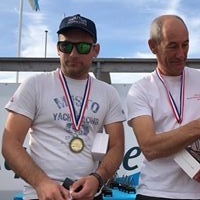 25 RS500s competed in the Dutch Nationals at Aquavitesse on 15/16 September, and a great time was had by all. Incredibly close racing! Report, with thanks to Champ Peter Curtis, results and a few photos are HERE. The next event is the final Eurocup Series event at Colico, Lake Como, Italy on 19-21 October. All details, including entry information and NoR are HERE. The RS500 AGM was held at WPNSA in August. The minutes are HERE.